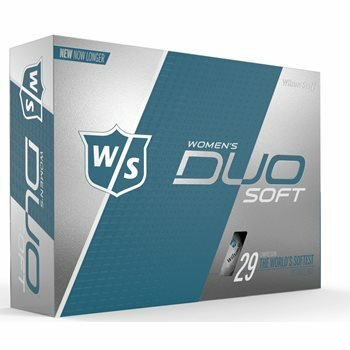 The Wilson Staff Duo Soft golf ball has the lowest compression at a ground-breaking 29 and best feel of all competitive premium 2-piece golf balls. The Staff Duo Soft also has the longest distance performance and lowest driver spin rate of all competitive premium 2-piece balls for straightest flight off the tee. The Duo Soft Optix White has been designed for female players to offer all the benefits of the Duo Soft in a unique, matte white finish.